October 9, 2015 (Toronto, ON) – After three extremely successful albums on Open Road Recordings, the entire ORR team is proud to celebrate brother duo High Valley hitting the milestone sought by every Canadian artist – signing a major U.S. deal. It was announced yesterday that High Valley has signed with Atlantic Records/Warner Music Nashville. This does not mark the end of the relationship between Open Road and the Rempel brothers. With the recent release of High Valley’s brand new single ‘Come On Down,’ the duo will continue to work with Canada’s #1 country music label for the duration of their most successful album to date, County Line. With three 2015 CCMA Award nominations for the album, resulting in a win for 2015 Group or Duo of the Year, this record has produced four Top Ten singles, including a Top Five hit and two back to back #1 videos on CMT for their radio hits ‘Make You Mine‘ and ‘She’s With Me‘. 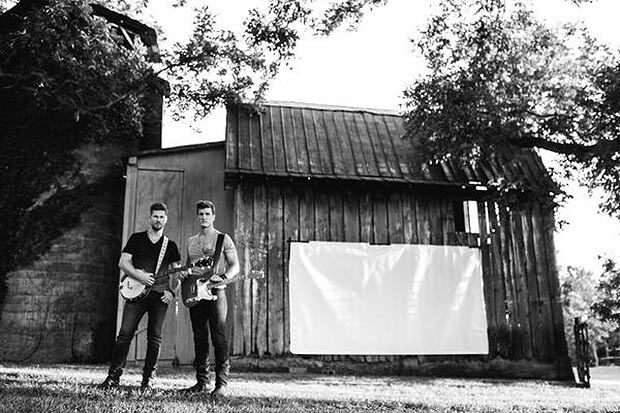 Throughout their time on Open Road, High Valley has grown to see skyrocketing success. In addition to a JUNO Award nomination, the group has seen nine CCMA Award nominations and two CCMA Award wins (2013 Interactive Artist of the Year and 2015 Group or Duo of the Year). From humble beginnings to top charting singles, Open Road Recordings is proud to have played a role in the duo’s incredible growth and is looking forward to continuing the momentum with County Line. To follow the band on this exciting journey, fans are encouraged to download the official High Valley app at www.highvalleymusic.com/app. Founded and led by President and Manager Ron Kitchener, with offices in Toronto and Nashville, RGK/ORR is a full service record label and management company dedicated to A&R, marketing, promotion, publicity, licensing services and talent development. ORR is home to award winning artists Dean Brody, The Road Hammers, Tim Hicks, High Valley, Doc Walker, Madeline Merlo and Blackjack Billy. The RGK Management roster includes Dean Brody, The Road Hammers, Tim Hicks, Doc Walker, Madeline Merlo and Blackjack Billy. The RGK/ORR roster has received multiple JUNO, CCMA, GRAMMY, CMA and AMA Awards as well as being named Record Label of the Year (5x) and Independent Label of the Year (3x) by the Canadian Country Music Awards Association. The RGK group includes RGK Entertainment Inc., Open Road Recordings, Roots 3 Music Inc., Rogue 11 Music Inc., DARTS Events Inc. and TopCountry.ca. ORR is a joint venture with MapleCore Ltd and is powered by the distribution of Universal Music Canada.